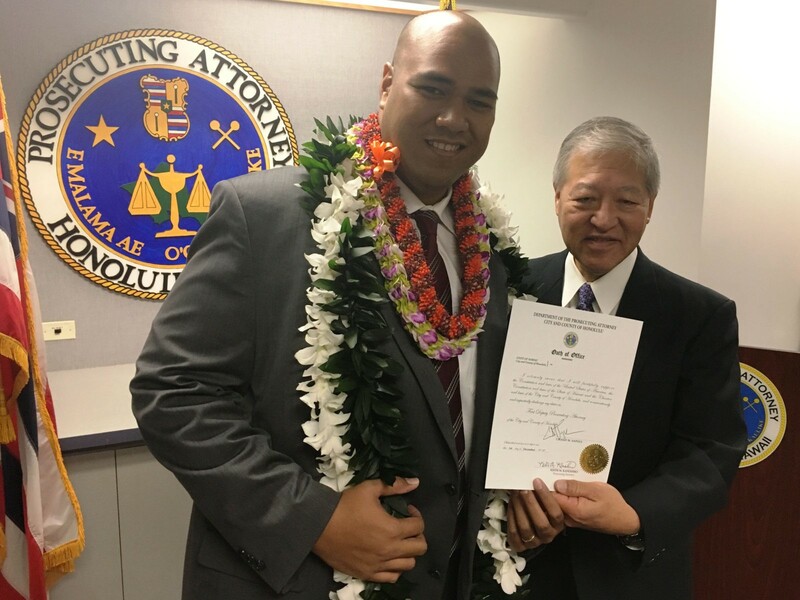 Prosecuting Attorney Keith Kaneshiro announced today Chasid Sapolu has been appointed the next First Deputy Prosecuting Attorney for the City and County of Honolulu. Sapolu has worked as a Deputy Prosecutor since 2011. He began in the Misdemeanor Traffic Division and has since worked in the Trials Division, the Screening and Intake Division, and most recently in the Career Criminal Unit where he handled a variety of cases including homicides. He has successfully prosecuted many repeat offenders and dangerous individuals. 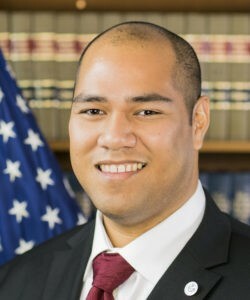 Sapolu is a product of Nanakuli High School and a graduate of the University of Hawaii’s William S. Richardson School of Law. Sapolu’s appointment is effective Friday, December 1, 2017. He replaces First Deputy Prosecuting Attorney Christopher Young who has taken a job in the state Attorney General’s Office as Administrator of the Hawaii Criminal Justice Data Center.